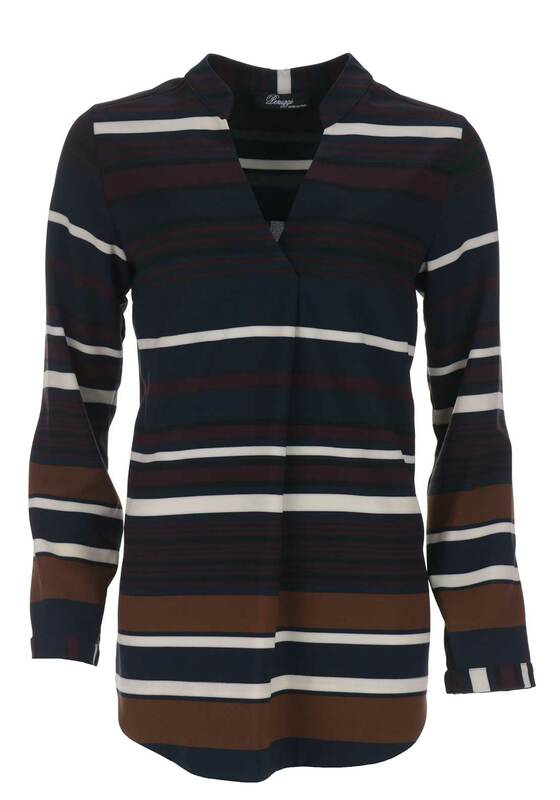 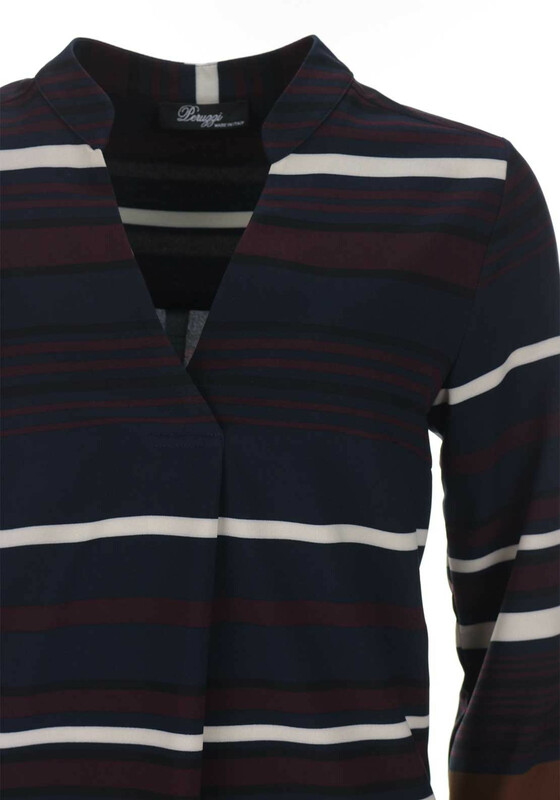 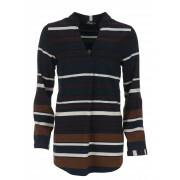 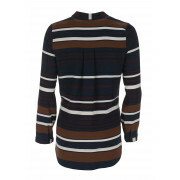 Revamp your daytime collection with this charming striped blouse from Peruzzi which could be worn with dark denim jeans and tan boots to create a stylish weekend look. 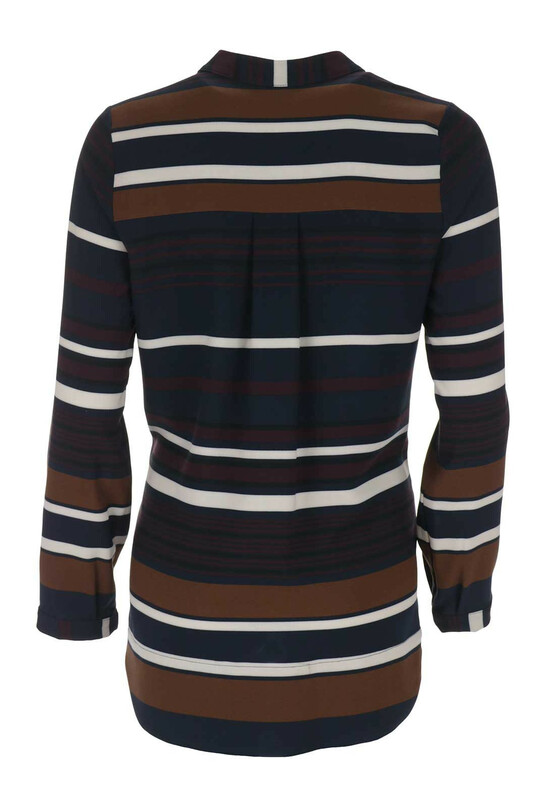 Made from comfortable fabric with a hint of stretch. 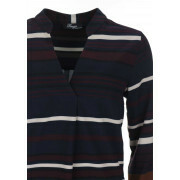 Designed with a slightly relaxed tunic shape and featuring a loose pleat below the V-shaped neckline.